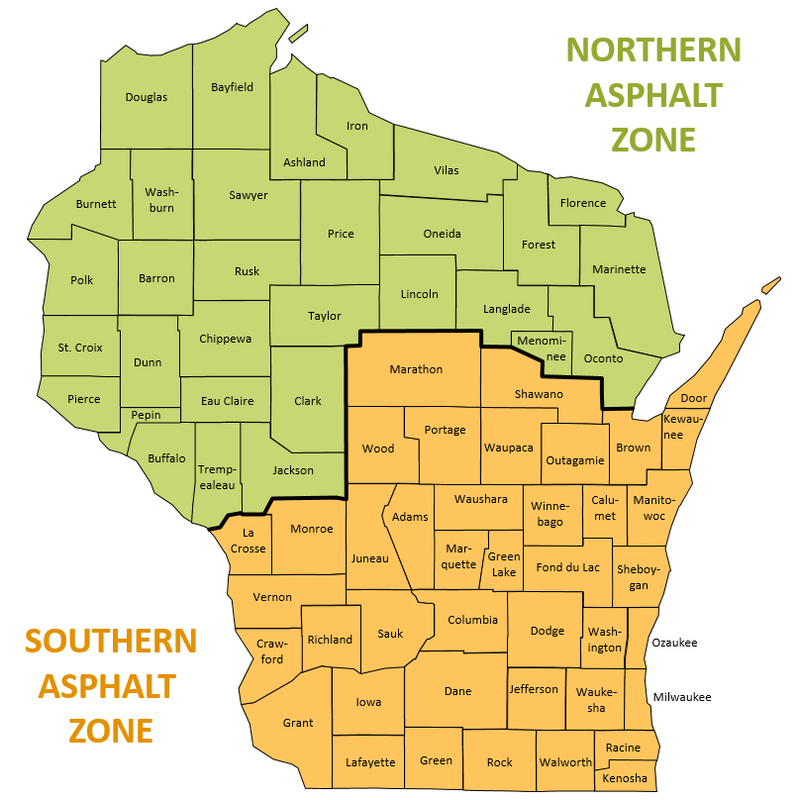 The Wisconsin Asphalt Bid/Mix Specification Tool was developed as a joint effort by the Wisconsin Department of Transportation (WisDOT) and the Wisconsin Asphalt Pavement Association (WAPA). Use this tool to generate the WisDOT bid item number for each pavement layer. Answer questions about the pavement type, traffic classification, binder designation, and aggregate gradation to determine the bid item number. You may freely change input parameters to generate different bid item numbers. Please contact WAPA if you would like a printed copy of these materials. 1. Determine the Asphaltic Binder Grade based on geographical location (the Northern or Southern Asphalt Zone) and layer type. 2. Determine the Traffic Volume based on expected ESALs or pavement application. Please click on one of the options below. 3. Determine Binder Designation based on expected loading and wear. Please click one of the available options. 4. Determine Gradation from allowable aggregate NMAS. Please click one of the available options. You selected mix type . This mix type corresponds with Wisconsin DOT bid item .